Relaxation—without the zzz’s. 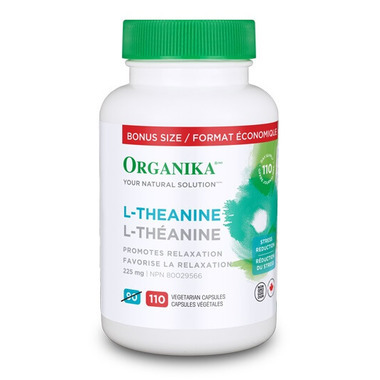 The properties of L-theanine can best be summed up as a relaxing agent without sedation. Dosage: Take 1 capsule per day with a glass of water. CONTAINS NO: Dairy, egg, artificial preservatives, colours, artificial sweeteners, yeast, wheat, corn, or gluten. Sustainably sourced, vegan friendly. I use this with coffee to lessen the high and crash of the caffeine. It works well and the price was right.